Do you want to have more money than the government?! 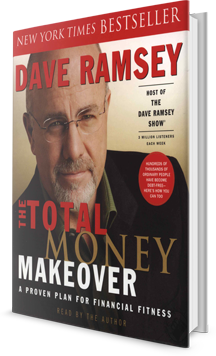 Well, In The Total Money Makeover, Dave Ramsey teaches you specifically how to get out of debt and how to be a better steward of the money that God has blessed you with. If you're out of debt, you'll have trillions more than the Government. BABY STEP #7 Build Wealth And Give! So, get this here book, apply it, and be a trillionaire (compared to the U.S. Government).